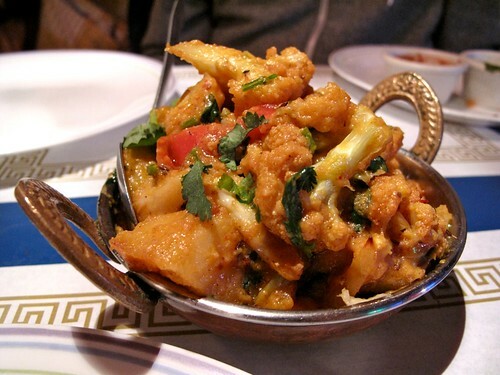 Southern Indian cuisine with lots of vegan offerings and many items that can be made vegan, so definitely ask your server. Dosa, curries, samosas. Downtown location, comfy seating, nice atmosphere with dim lighting. I get serious cravings for Flavors. You know how at some Indian restaurants everything tastes the same, with different beans or veggies thrown in? Not so at Flavors! Each dish is unique and delicious. I especially love the Aloo Gobi, with scents of cardomom and fenugreek, and something I can’t put my finger on (caraway?). And their masala dosa is so chewy and crispy. You can see the toasted mustard seeds smothered all over the potatoes. I love it, flavor you can see! And their plain nan is TO DIE. The servers are really nice, too. On top of all that it’s really cheap! Dinner for two with apps for just under 20 bucks? What?! Flavors rules.